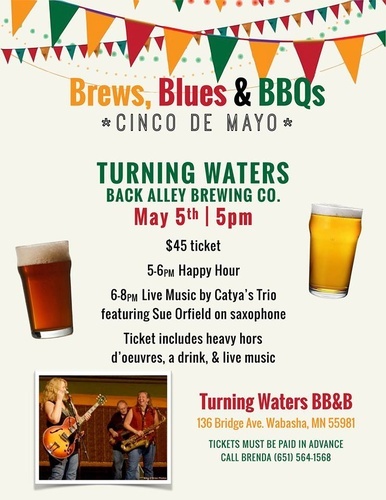 Turning Waters Back Alley Brewing Company is presenting Brews, Blues & BBQs. There will be a Happy Hour from 5-6 pm with live music by Catya's Trio featuring Sue Orfield on saxophone from 6-8 pm. Ticket includes heavy hors d'oeuvres, a drink & live music.